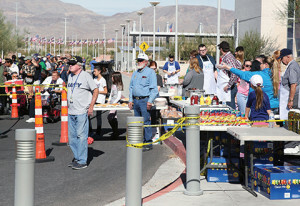 Veterans stand in line for food at the 2017 Veterans Day Car Show and Barbecue event. The VA Southern Nevada Healthcare System will host its 4th annual Veterans Day Car Show and Barbecue 10 a.m.-3 p.m., Nov. 10. 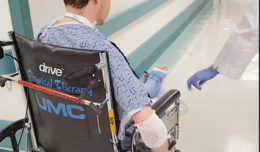 The event will be at the VA Southern Nevada Healthcare System Medical Center located at 5900 North Pecos Road in North Las Vegas, and is open to the public. • A Kids Zone and much more. For more information, visit www.lasvegas.va.gov.